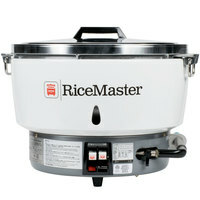 Perfectly cook rice every time with a restaurant rice cooker. 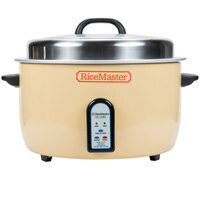 These products have built-in thermostats and automatic shut-off functions that make it easy for you to evenly cook rice. 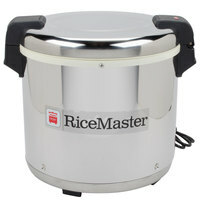 Commercial rice cookers come in a variety of convenient sizes that fit right on your work table or countertop, freeing up space in your kitchen prep line. 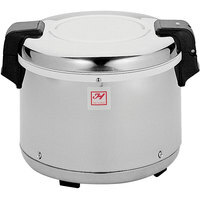 Some of our cookers also double as rice warmers, which keep your food at an ideal temperature after being cooked. 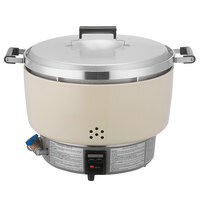 Restaurant rice cookers make it effortless to cook large amounts of rice for Japanese hibachi grills, sushi places, Chinese buffets, and other restaurants that specialize in rice dishes. 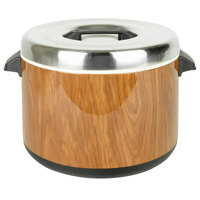 They’re also great for catered events and come in different styles that will blend in with your buffet table. 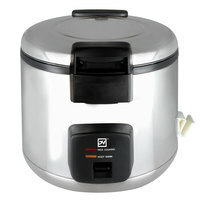 Commercial rice cookers can even cook oats and other starches for restaurants and cafes that serve breakfast. 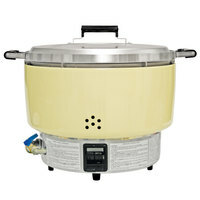 Good - Designed to meet the needs of your busy foodservice operation, this Town RM-50N-R natural gas 55 cup rice cooker and warmer prepares your rice in just 22 minutes! 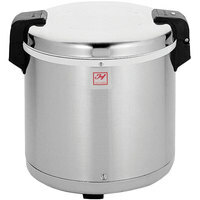 A bimetallic sensor automatically detects when to switch from cooking to warming modes, while its cast aluminum pot provides uniform cooking, ensuring that your rice is warm and perfectly cooked for your guests. 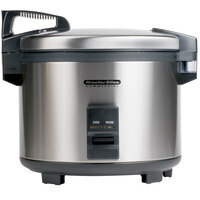 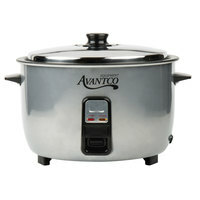 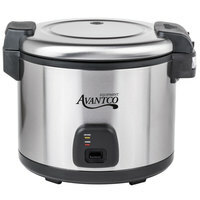 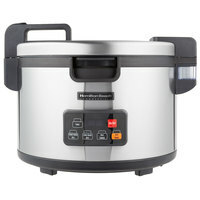 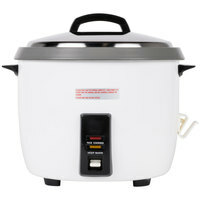 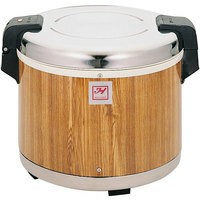 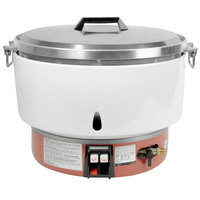 Better - This Town RM-55N-R natural gas 55 cup rice cooker and warmer is capable of preparing your rice in just 27 minutes! 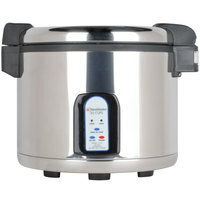 The bimetallic sensor automatically switches from cooking to warming modes, ensuring your rice is cooked to perfection and kept at an ideal serving temperature for your customers. 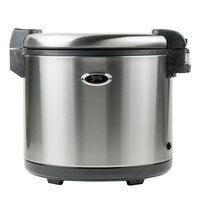 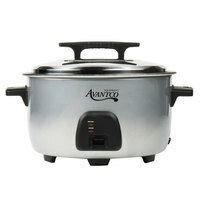 A cast aluminum pot ensures uniform cooking, while its steel drop handles provide easy transportation. 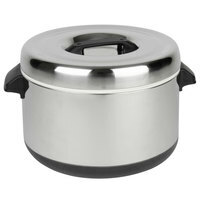 Good - This Town 56919NF stainless steel 92 cup (552 oz., 15 lb.) 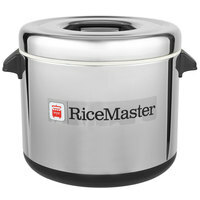 electric rice warmer keeps your rice warm for up to 12 hours, ensuring that it stays at the perfect temperature for your customers. 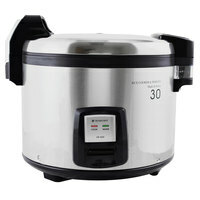 With its uncoated rice pot and durable stainless steel finish, this rice cooker is built to withstand the hustle of any restaurant! 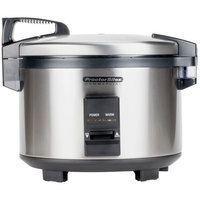 Better - The Town 56919 92 cup (552 oz., 15 lb.) 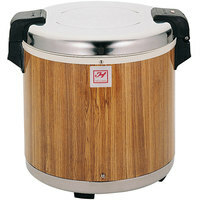 commercial rice warmer is the perfect solution for keeping your rice warm at your buffet, restaurant, or catered event. 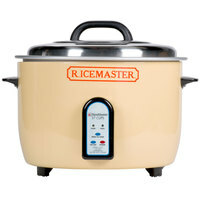 With its simple thermostatic controls, the heating element easily adjusts to an optimal temperature and keeps your rice warm for up to 12 hours. 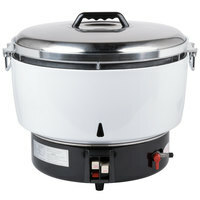 Plus, the removable, non-stick Teflon®-coated pot prevents rice from sticking to the sides, providing you with an easy clean up after a long dinner service.